We just moved into a new home—and trying to make changes and redecorate and paint and tear up carpets… well, it is not only time-consuming, but not too much fun with a toddler running around. I decided I’d give my son, aged four, a task and have him help me decorate a wall in the kitchen where he hangs his apron and chef hat. 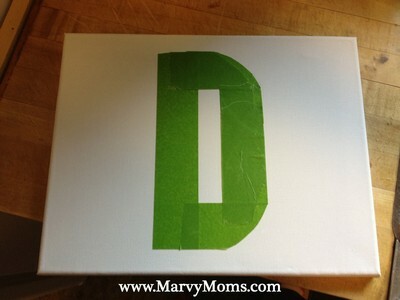 I made a letter “D” (stands for our last name, Diedreck) on a white canvas out out of masking tape and then gave him paints that matched the color-scheme and said, “Okay, paint this and we can hang it up so everyone can see it!” It’s a simple, fun and slightly messy project (which all toddler boys love) that can hang in your home for everyone to see when they stop by. And it makes quite the conversation starter, too! 1. 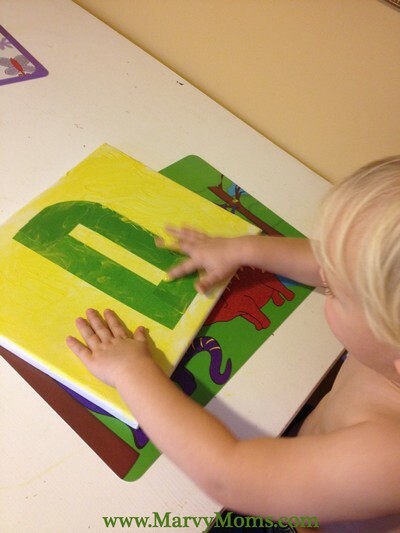 Outline letter with easily removable Frog or painter’s tape. 2. 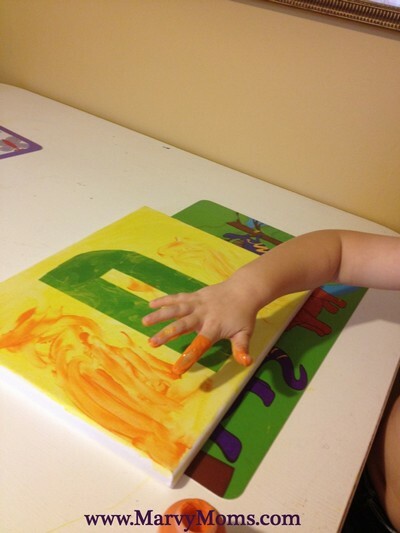 Have your child paint with whichever color(s) they choose. 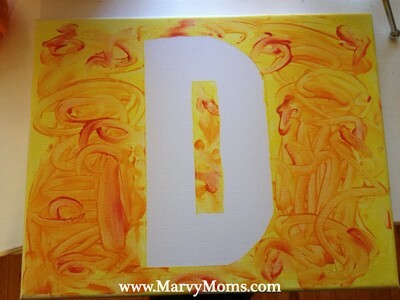 We used fingers, but you could use paint brushes, cotton balls, or any medium you like. 3. We added a second color to give the picture some depth. 4. Here it is before removing the tape. 5. Next, remove the tape. 6. 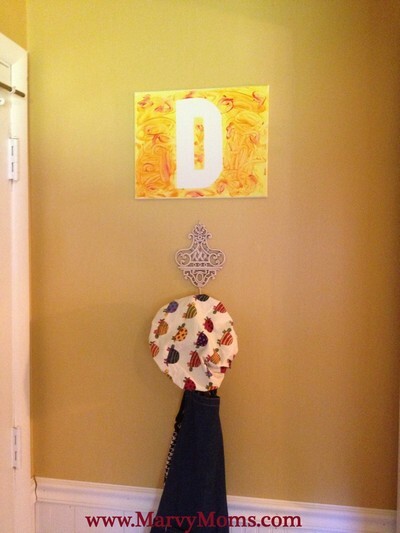 Find a place of honor to hang your masterpiece on the wall. That’s it! 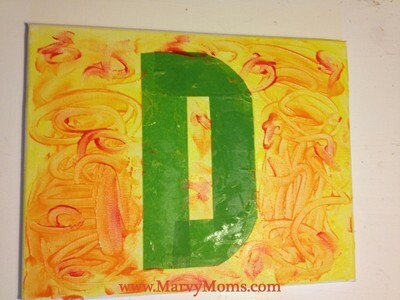 A tape resist initial that any child would be proud of making. 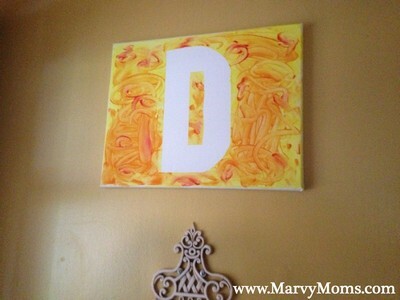 This would be perfect for decorating a child’s room. Where would you hang yours?